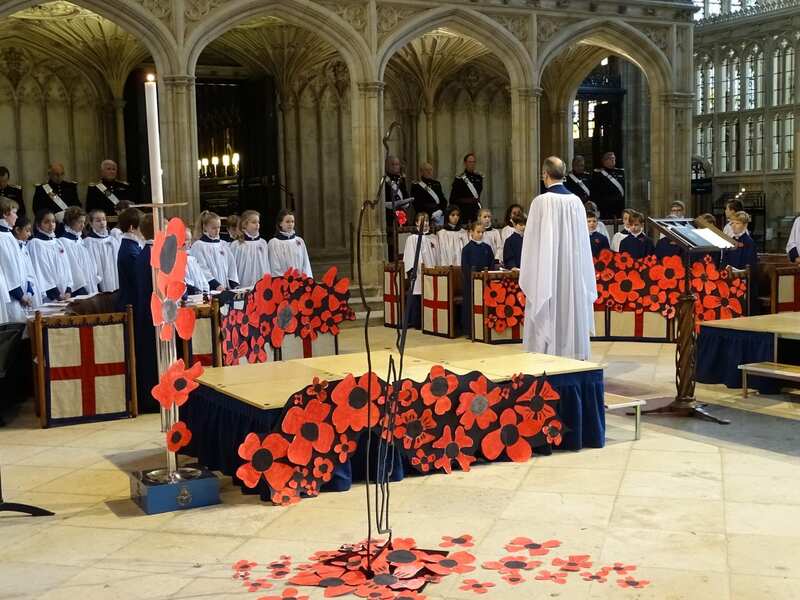 On Friday the Chamber Choir sung at a service of remembrance accompanied by a dramatic interpretation in St George’s Chapel in the presence of the Military Knights of Windsor. A series of letters from the trenches, written by former pupils of St George’s, were read out by current pupils. At the end of the service, the Head Master read the names of former pupils who were killed in conflict during the First World War, each one represented by a current pupil carrying a cross and poppy in their honour. It was a very memorable and moving occasion for all those who attended.